See, wtf? He has longer hair than Blackwidow and they sculpted his hair great (granted it'll limit head articulation) but did terrible rooter hair AGAIN for Blackwidow, why, cuz she's a girl? 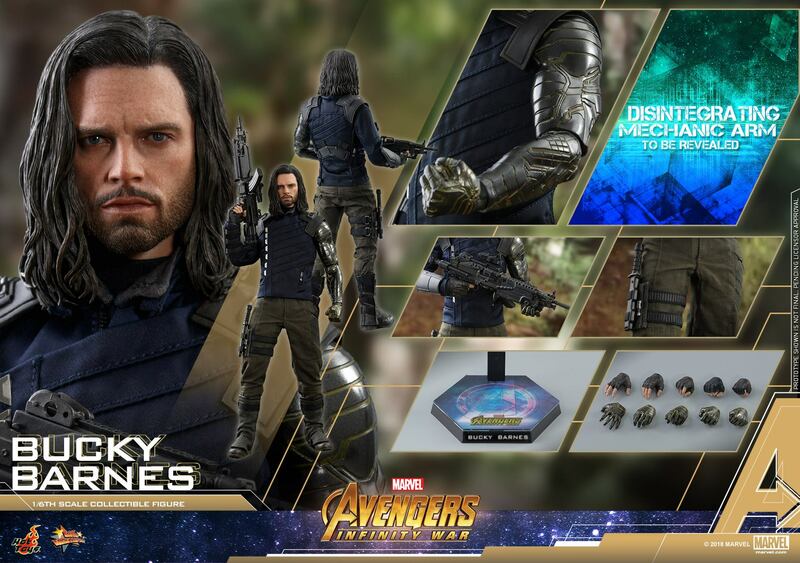 This Bucky looks awesome, I think they'd move more of them if they did a 2 pack with Rocket for sure.